Mercedes-Benz S-Class Cabriolet Interior, Sat Nav, Dashboard | What Car? 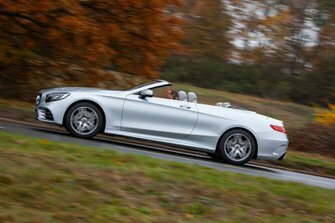 Drivers of all sizes will be able to get comfortable, because every S-Class Cabriolet gets a huge range of electronic seat and wheel adjustment and the front seats are decently supportive in fast bends – but also supremely comfortable on long journeys. The S-Class Cabriolet is also every bit as luxurious as its four-door limousine and two-door Coupé cousins. 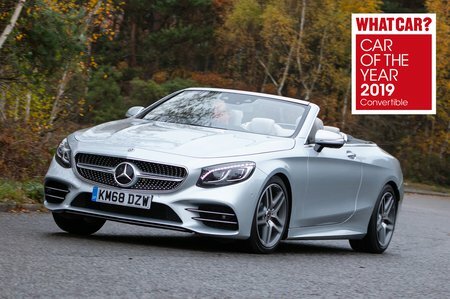 There are swathes of fine leather on the Cabriolet's dash, doors and seats, while its metallic switches and infotainment controller have a suitably high-end look and feel. Mercedes' Comand Online infotainment system with 12.3in colour screen remains visually impressive and logical, if not quite as simple to navigate as BMW's iDrive.